Well, Thursday was a rather extraordinary day. I was busy tinkering with some recipe development when the phone went. Had it been April Fool’s Day I may have thought that “Riccardo” was actually Peter, up the road on his mobile, pulling off a convincing Italian accent. The long and short of it all is that Riccardo was calling from The United Nations Food and Agriculture Organisation to tell me that I have been chosen as the European Ambassador for the International Year of Pulses! I have to say that I’m really honoured, chuffed and excited; I will happily and whole heartedly shout about all the reasons why we should be eating more legumes (not least because they are delicious) and really look forward to going out to Rome for the “Appointment Ceremony”. 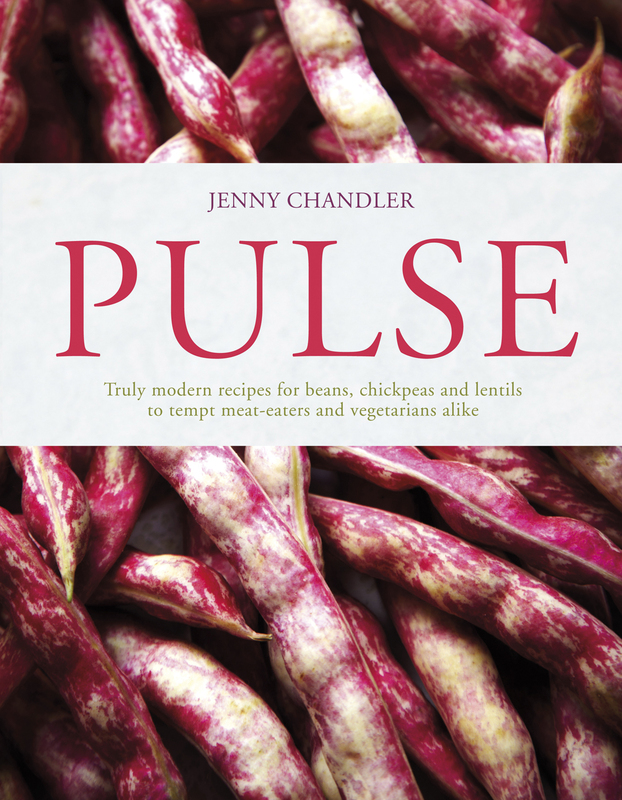 As a cook I tend to write recipes and rave about the tastiness of pulses on my blog rather than talk extensively about the sustainability and health benefits of eating them. 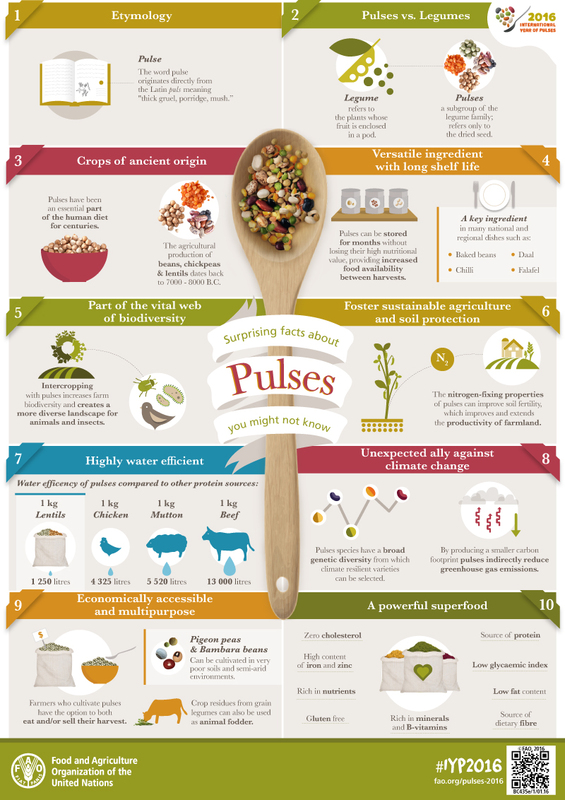 I assume that people probably surf elsewhere for up-to-date nutritional and environmental info’ however this infographic off The United Nations FAO site gives a good glimpse of what makes pulses so incredibly valuable and why the U.N. Food and Agricultural Organisation are so keen for us all to eat more of them. This blog will continue to be a place where I share dishes that I love to cook, with or without pulses, but I do hope that you’ll enjoy coming on any new ambassadorial adventures with me. Today’s recipe is for falafel; they’re one of my absolutely favourite things to eat and they just happen to be a cinch to make, plus being incredibly economical too. 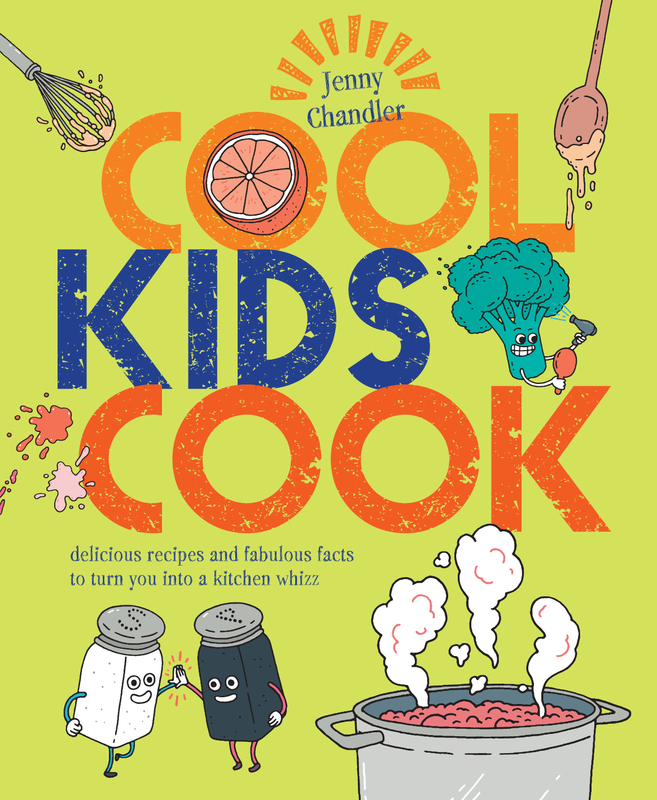 It’s great to get children involved with the seasoning and shaping of these little balls of goodness although deep frying is definitely an adult activity. It’s up to you whether you use chickpeas or fava beans for the recipe, personally I love fava beans (they’re British too, so less food miles involved). 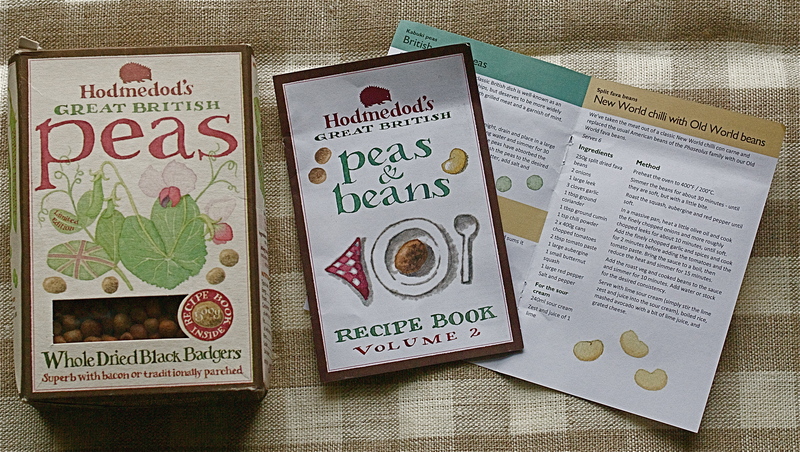 In fact until recently I never had any idea just how many thousands of tons of favas we produce in England each year and export – did you? Well, that’s another story. Traditional Egyptian falafel tend to be made with split favas so this recipe is a classic. Drain the beans (or chickpeas) well and place them in a food processor with all the remaining ingredients bar the oil. Now whizz everything up to a green paste, stopping when you have a sticky but still slightly granular texture. Pounding and mincing by hand is an option but you’d have to be very keen. Taste and balance the seasoning and then leave the mixture to rest for about half an hour. Now for the production line: Scoop spoonfuls of the paste, roll it into walnut-sized balls, flatten them slightly and place on a tray. Continue until you have finished the mixture but don’t be tempted to upsize otherwise the centre will never cook through. Heat enough oil to deep fry your falafel a few at a time. The oil should be 180 C (or hot enough for a little cube of bread to brown up in about 30 seconds). Test with one first, the oil should sizzle around it. Add the falafel in batches and cook for about 4-5 minutes until deep gold. If deep frying is just not your thing I have had reasonable success shallow frying too, you will obviously have to turn the falafel and also extend the cooking time a little to ensure that the centre cooks through. Serve whilst hot (you can keep the first batches warm on a baking tray in a warm oven whilst you finish cooking). Doing things traditionally- opening up a pitta bread and dropping in the falafel with a salad of crisp lettuce, cucumber and tomato, some tarator sauce and a dash of chilli. Serving with drinks with a little tatziki or harissa to dip into. And despite the fact that my family are obviously very proud about my appointment there has been some Micky taking too, we’re British after all. So, if you’d like a giggle do click here to watch our film . If you’d like some pulsating inspiration here are a few dates for the diary. Places are limited for both Bristol and Bath so please click on the links and book away. 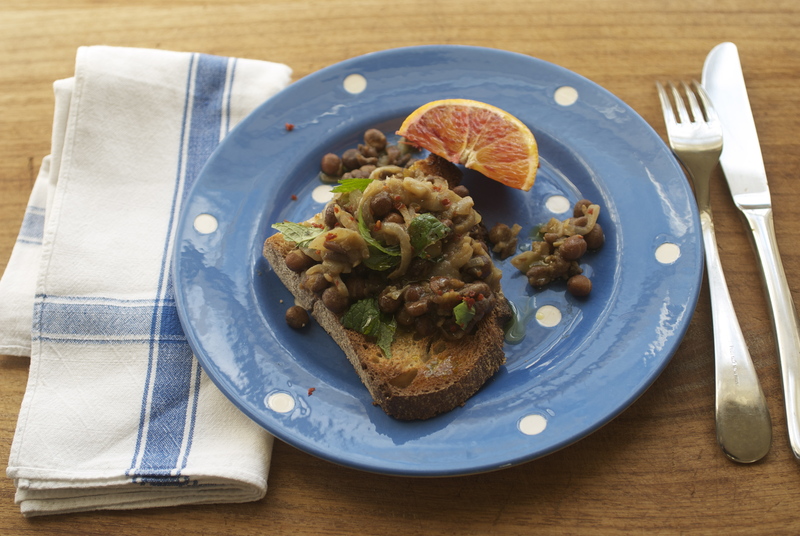 Ten chickpea dishes in under an hour. Family-friendly, super-tasty, cheap, healthy, quick to prepare. Come along and let me inspire you; from simple hummus to Tuscan soup and Punjabi curry. Book here. A hands-on class where learn all about soaking, sprouting, seasoning and preparing. Get pulses into you repetoire with fabulously healthy, modern dishes. A demo with tasters, where I will be cooking with fava beans, dried peas and my favourite Black Badgers!